#BoatTrip. #RiverCruise. #SaintPetersburg. #StPetersburg. #BestOfStPetersburg. #SaintPetersburgPrivateTour. #NevaRiver. #MoykaRiver. #FontankaRiver. #DrawBridges. #StPetersburgArchitecture. 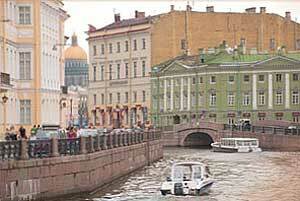 Best boat tour St Petersburg Russia. Boat trip Saint Petersburg. St Petersburg canal tour. 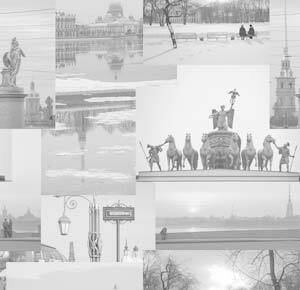 What to do in St Petersburg Russia. Things to do in St Petersburg Russia. St Petersburg tourist attractions. St Petersburg boat tour. Boat Excursion Saint Petersburg. Shore excursions St. Petersburg Russia. A boat trip is a very pleasant, interesting and romantic way to explore the city. St. Petersburg is often called the Venice of the North. It lies astride 42 islands washed by 65 rivers and canals. You will go along the old canals and under the bridges. You will see beautiful old palaces and mansions decorating the embankments. And during the trip you can try to imagine yourself in the 18th - 19th century St. Petersburg, where canals and boats existed - busses did not. So this tour will give you a better feeling of the nature and character of old Petersburg. We recommend taking this tour not instead but after the general city tour, for this will give you an opportunity to view the buildings you have seen before at a different angle. We can provide any kind of boat from little private boats for 4 to 10 passengers to boats that can accommodate up to 40-45 people. The big boats usually have both - a weatherproof cabin and an open deck. The tour usually lasts for 1-1.5 hours. The route depends on how high the water is in the canals and on how long you want the tour to last. NB! One of the biggest advantages of this tour is that there are no traffic jams on the rivers so far.